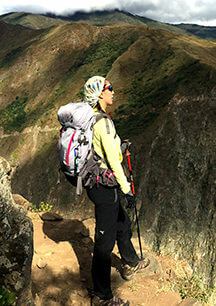 Ausangate Trek gets at 20,921 feet, The Ausangate mountain is the highest peak in the Cusco region. The trek to Ausangate Mountain is considered as one of the most stunning and remote hikes in Peru. This majestic snow-capped mountain is full of natural beauty; with crystal clear blue lakes, vicuñas, llamas, alpacas, vizcachas and condors. You will visit the 12000 ft high hot springs in which you can soak your body in the relaxing thermal waters while taking in these picturesque surroundings. On the final day of this incredible Trexperience you will climb Rainbow Mountain – one of the most extraordinary natural wonders of Peru. We will pick you up from your hotel between 5 and 6 am (depending on your location) and drive towards the community of Tinki – arriving around 8:00am. After enjoying a delicious breakfast we will start your Ausangate Trek with a 4 hour up hill trek to our lunch spot at the base of Ausangate Mountain – the highest peak in the Cusco region at 20 926 ft. After lunch we will continue for 2 further hours downhill to the community of UPIS – located at 14458 ft. Tonight we will be camping close to the medicinal hot springs so you can take your time to relax and enjoy the hot waters in chilly weather of the highlands in the afternoon. We will wake you up with a hot cup or coffee or coca tea and leave you to enjoy the stunning sunrise in this secluded location. Today is a relatively easy day with gradual up and downhills throughout, so you can relax and enjoy your surroundings. 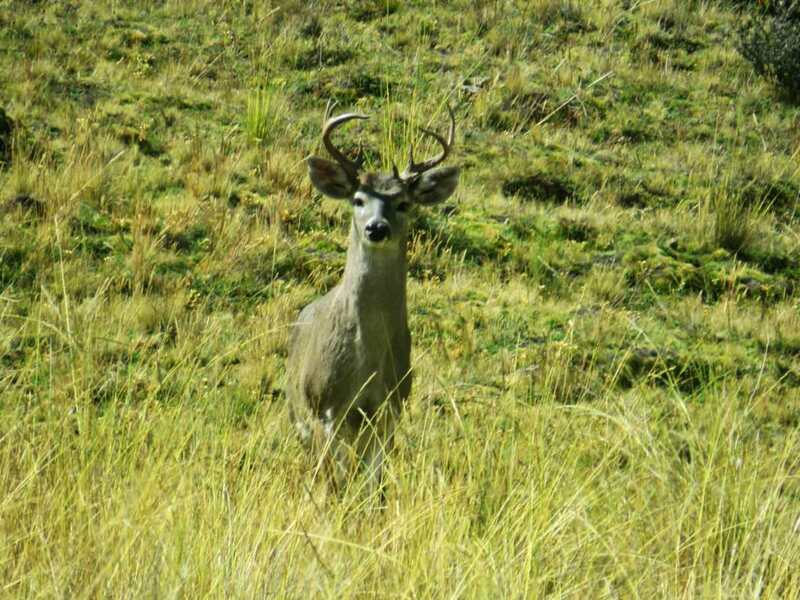 As we hike we will pass by an abundance of flora and fauna including viscachas (a small rodent similar to a rabbit), birds, llamas and alpacas. Our campsite is located at the bank of a beautiful lake called Pucacocha. This campsite is extremely beautiful with stunning views of the lake and astonishing sunsets. If you are lucky enough to camp on a clear night, this is the perfect place to stargaze! We will wake you up bright and early with a hot cup of coffee / coca tea. Today will be the most challenging, yet arguably the most beautiful day of the Ausangate Trek. 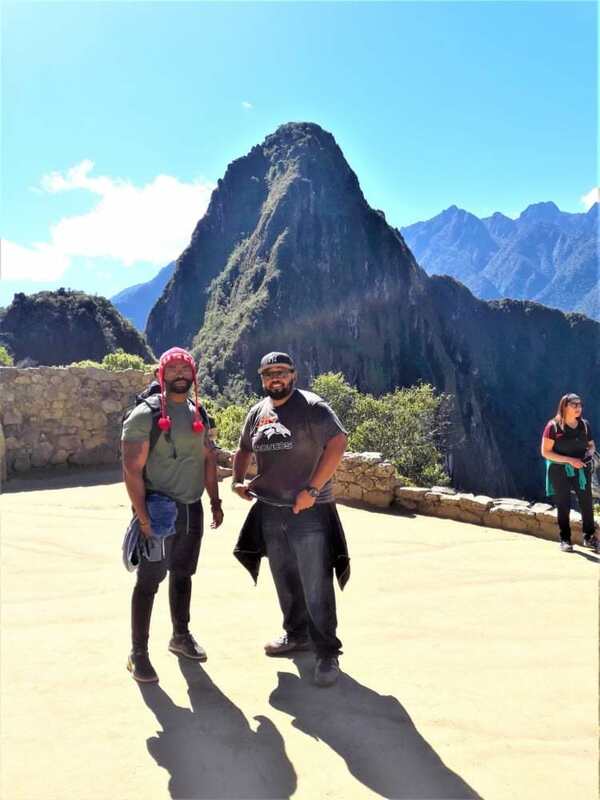 We will start with a 3 hour uphill hike to Alpaca Pass (16,732 ft), taking in the breathtaking views of the highlands, crystal clear blue lakes and Andean mountains along the way. From the top we will descend down into the valley of Chillca, where a delicious lunch will be waiting for you. 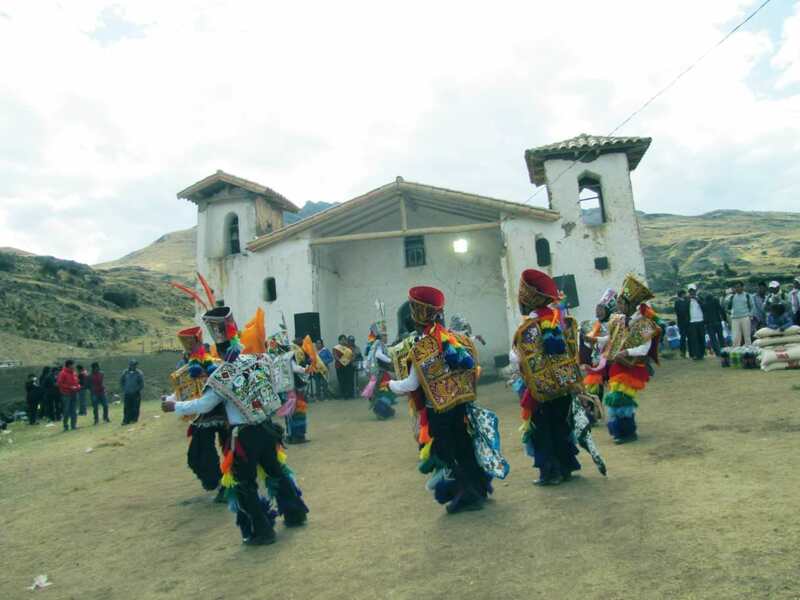 Chillca is a beautiful and traditional village, with thatched roof houses and locals wearing typical dress. 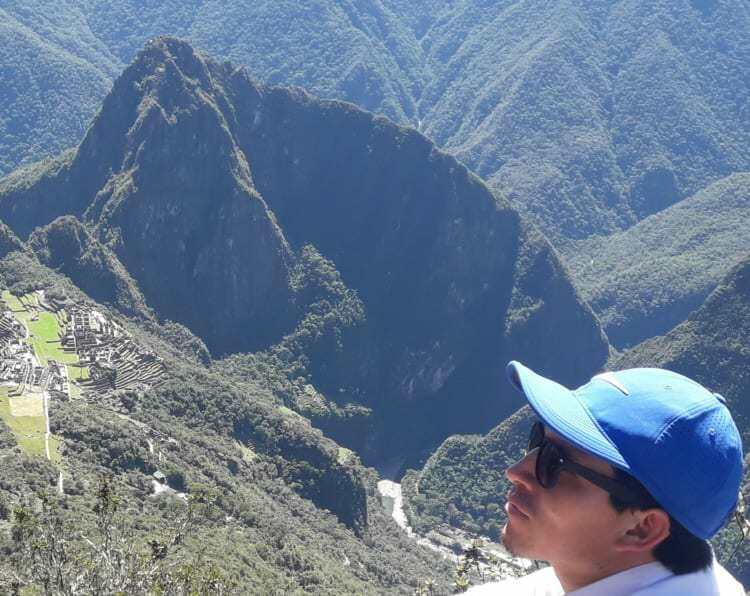 From Chillca we will hike uphill for two hours to Vicuña pass, at 17,388 ft. Once at the summit, you can take some time to rest and enjoy your majestic surroundings while your tour guide performs an ancient offering ritual to this sacred mountain. We will then continue for another 2 hours to Lake Yanaccocha where we will spend a second night camping beside the beautiful lake. Tonight you will have a second chance to stargaze. The last day of the Ausangate Trek begins with a 3 hour ascent to Vinicunca mountain (16,466 ft / 5,020 m), along the way we will observe llamas and alpacas, traditional houses and breathtaking landscapes of the Ausangate Mountain (6398m/20991ft). Rainbow Mountain, (or Vinicunca) is located in the Southern Region of Cusco. This a remarkable place that will impress even to most demanding of hikers. The high altitude allows for some of the most incredible views in the region and here you feel completely separated from modern civilization. 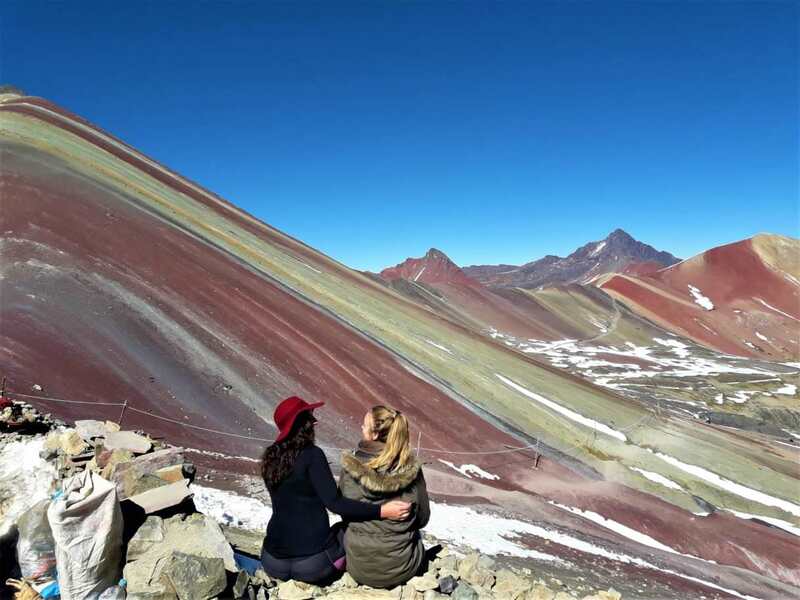 Rainbow mountain is considered one of the most beautiful one day hikes in the world. Upon reaching the summit and taking some time to explore and enjoy this extraordinary place we will start descending again. We will break for lunch before taking our private bus back to Cusco, arriving at your hotel at around 6 pm. Trexperience offer a door to door service; we will pick up from your hotel on the morning of the trek and drop off back at your hotel on the last day. All required transportation throughout the trek is included. In addition Trexperience offer a complementary transfer service to and from the airport and your hotel.